Welcome to a new year of Stargate Atlantis excitement and the beginning of American Mythology's new Stargate comics program featuring the return of fan-favorite artist Greg LaRocque (The Flash) and a special sneak peek at the upcoming Stargate Universe "Back to Destiny" series! Atlantis has returned to the Pegasus Galaxy and the dangers are wilder than ever. Join us on a new story arc as the team discovers the diabolical truth behind the Ancient Janus' master plan. The stakes are higher than ever and the action picks up where the television series left off! 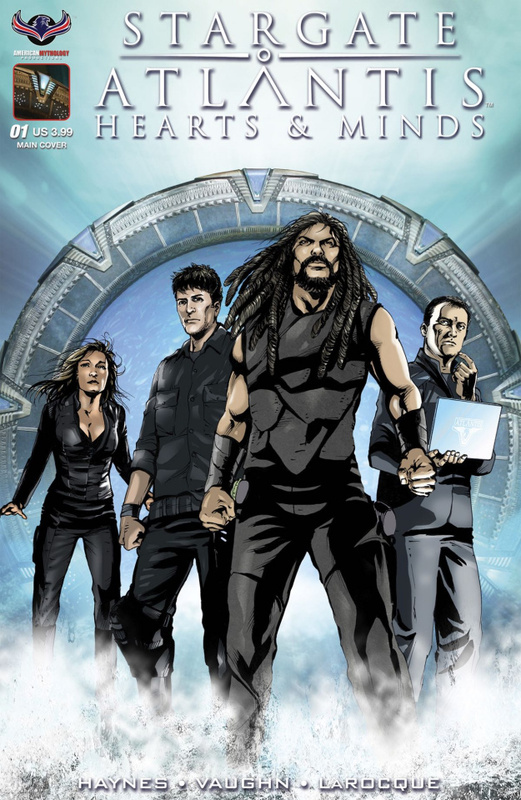 Stargate Atlantis Hearts & Minds comes with four variant covers by interior artist Greg LaRocque, Sci-Fi fine artist Dan Parsons, a photo cover, and an exclusive retailer incentive Flashback Photo cover!